An active CAIPE member since 1997, in June 2014 he was appointed Vice Chair for CAIPE and in June 2017 elected Chair. He promotes quality collaborative practice through CAIPE with: PSA; Regulatory; Professional Bodies; HEI’s; Public, National and International organisations; WHO; NHS Bodies- HEE; PHE; NHSE; NHSS. A CAIPE member since 1994 initially as a PhD student undertaking research in the field of Interprofessional Education for community nurses. Elected to the CAIPE Board for two terms of office and then took on and continues to present time the role of Company Secretary. Her original career was in nursing but now after 25 years in Higher Education works in academic management and since June 2017 as the Dean of Health and Social Care at Staffordshire University. Staffordshire University having become a corporate CAIPE member in 2018. Jenny Ford. BSc Speech pathology and therapy, MPhil Human Communication, MRCSLT, HCPC registered. Retired Principal Lecturer, now part-time coordinator of interprofessional student volunteering. CAIPE Board member 2010-2016, Member of the Executive Group since 2016 as co-opted Board Member, Lead of Student Group and Service User and Carer Group, Co-editor of the CAIPE Newsletter, Member of Promotion and Publications groups. I am also involved in CAIPE’s work with the Collaborative Centre for Values-based Practice and Higher Education England. I have approximately 15 years’ experience working in the IPE team at De Montfort University, Leicester as Speech and Language Therapy Lead and a member of the Regional Steering Group with three years as Operational IPE Lead for the Faculty of Health and Life Sciences at De Montfort. 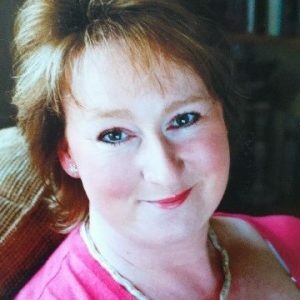 I am a qualified social worker with over 30 years’ experience of working in the social care sector. I started my career working in London in a hospital setting and then in the community. Following this I became an independent social worker offering consultancy services to several voluntary organisations. On moving to Norfolk I returned to local authority social care working with children and families. In 1996 I took a career change and became a lecturer in social work and social care at City College Norwich, Here I taught on a range of Further and Higher education courses, gaining my PGCE. Returning to practice in 2000 I worked as an Independent Chair for Child Protection for Norfolk County Council, I then became a Children’s Centre Manager, responsible for the leadership of an integrated multi-agency team providing community health, education (including a 52 place day nursery) and family support to children under 5 and their families in the community. As part of a service reorganisation I took early retirement from Norfolk County Council and joined UEA part time in 2013. My post is within the School of Health Sciences, but is held jointly with the Centre for Interprofessional Practice. I lead on the delivery of 2 Interprofessional modules within the academic year. Since being at UEA I have presented at both All Together Better Health VII and ATBH VIII conferences on using clinical simulation and working with Experts by Experience in IPL. Laura Chalmers RGN RNT BA MSc. FHEA PG Cert. Laura is the academic lead for Interprofessional Learning (IPL) at Robert Gordon University in Aberdeen. 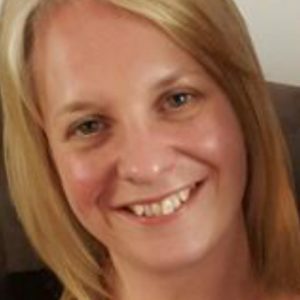 Laura worked extensively in intensive care as a nurse then as an educator and specialised in secondary transport of the critically ill.
Laura leads a team of dedicated academic colleagues including those from the medical school at University of Aberdeen. Students from 10 and soon to be 14 professions come together throughout their undergraduate programme and learn through innovative simulation programmes in practice, low fidelity case based workshops, team working and shared modules. Laura is leading the wider integration of IPL in Aberdeen with a shared goal of preparing collaborative ready graduates. Laura is driven to fully integrate overt and measurable interprofessional learning at RGU. Laura has presented at several national and international conferences on a `Hearts and Minds` approach to IPL and on disruptive simulation techniques for IPL in practice. Her research interests include immersive simulation, values based practice and emotional intelligence/resilience in health and social care. Alison is Professor of Nursing and Interprofessional Education and Head of the Department of Nursing, Midwifery and Health, Faculty of Health and Life Sciences, Northumbria University; a large Department of 152 staff and 3000 students. She is also currently the Northumbria strategic lead for a high profile, international nurse education collaborative venture in Malta. Alison has a large portfolio of Doctoral research supervision and is an experienced PhD examiner. She is also an Associate Editor with the Journal of Interprofessional Care and actively involved with CAIPE, the Centre for the Advancement of Interprofessional Education. 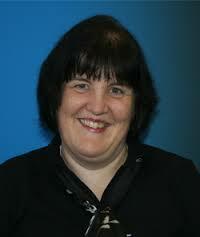 Alison joined Northumbria University in 1999 as a Senior Lecturer in adult nursing. In 2003 she was appointed as Director of Interprofessional Education, with Principal Lecturer responsibility for the strategic development of interprofessional education across health and social care pre-registration programmes. Alison also played a lead role in a national DoH funded initiative to embed service improvement learning into pre-registration health curricula. She has led Post Graduate taught programmes in public health, enhancing the learning experience of both UK and international students. Prior to joining the University she worked for 11 years as a Registered Nurse and as a Health Visitor supporting the health and wellbeing of individuals, families and communities. Her research interests include: interprofessional education; nursing and healthcare collaborative workforce development; health visiting; and public health; using qualitative methodologies including grounded theory. Associate Dean Learning Teaching & Quality, Glasgow Caledonian University. 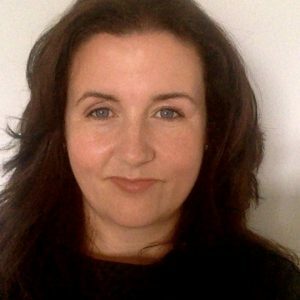 Nichola has worked at Glasgow Caledonian University for a number of years and her current roles are that of Associate Dean Learning Teaching and Quality for the School of Health and Life Sciences and Strategic Lead for Interprofessional Education. Nichola has been involved in the development and delivery of interprofessional education (IPE) within the University for the past 10+ years. Nichola successfully led the review and reapproval of the School’s IPE Framework (approved in 2014) encompassing all of the allied health, nursing and social work programmes – which received a number of commendations for its distinctiveness and innovation from both regulatory and professional bodies. Additionally, Nichola has been integrally involved in the delivery and assessment of interprofessional education at GCU, having successfully led interprofessional modules, delivered to 1000+ students per year, across two institutions, 16 disciplines and by 20+ facilitators per trimester. 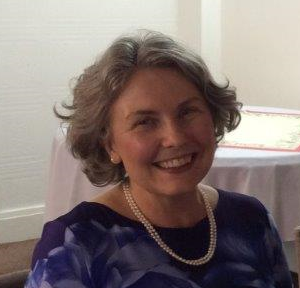 Nichola has acted as an External Examiner for and has successful supervised/ is supervising a number of ProfDs/ PhDs in the area of interprofessional education. As an institution, GCU hold CAIPE corporate membership, for which Nichola is the named IPE Champion/ contact. Having been instrumental in the leadership/delivery of IPE within the University she has presented at a number of national and international conferences, including All Together Better Health conferences in Japan 2012 and Pittsburgh 2014 and network meetings, sharing good practice and innovative pedagogical approaches to IPE. Nichola was a member of the development team for the inaugural Scottish Health and Social Care Team Challenge (SHSCTC) in 2014, successful co-led the second SHSCTC at Glasgow Caledonian University in April 2016. 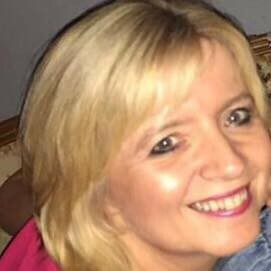 As a CAIPE Board member Nichola is engaged in the CAIPE Workshops and Consultancy; and Scotland Representation. Emma is an ex service user and currently out of practise speech and language therapist- SLT. Emma became a service user following an RTA in 2002 close to SLT degree completion. Her recovery from significant injuries utalised a plethora of professionals and interprofessional working. Emma has a passion for IPE working and has been actively involved with the development of it as a service user representative, with Leicester and De Montfort Universities medical, health and social schools since 2008. Developing use and understanding of IPE with current and future professionals. She is an ambassador for the University of Leicester’s medical patient Carer Group. Emma feels the service user is key and an essential part of the team. Emma has worked with CAIPE at presentations and workshops, and through online conversations. She was a co-opted service user representative member on the board of CAIPE in 2016, and a board member since 2018. Medical doctor especialized in Internal Medicine and in Tropical Medicine, with a PhD in Cardiovascular and Nutrition Epidemiology (SM1 at Harvard T.S. Chang School of Public Health). Special interest on machine learning, artificial intelligence and Rstats applied to health. Currently Full Professor of Public Health and Interprofessional Education at the School of Biomedical and Health Sciences, Universidad Europea de Madrid. Founder, and currently co-director, of the IPE Program of the same School. Visiting professor of the Universidad de Navarra (Pamplona, Spain) and of the Universidad Internacional de Cataluña (Barcelona, Spain). Member of the Board of Directors of CAIPE and part of the international group. Member of the editorial board of the Journal of Interprofessional Care. Member of the IMPULS research team. Close collaborator with PAHO/WHO and the Ministry of Health of Brazil in the design and implementation of IPE in Latin America. Currently involved in the development of the national plans of: Brazil, Chile, Uruguay and Colombia. 60+ publications indexed in Pubmed. H-index: 19. Editor of the “Manual of IPE for health”, Elsevier, Madrid, 2018. ISBN: 978-84-9113-296-7. Author of “Working with aliens: emotions management on IPE”. Ilusbooks, Madrid, 2016. ISBN: 978-84-1657-430-8. A microbiologist by background, Sharon is an experienced educator with a strong record in expanding IPE opportunities. She has worked with Birmingham students to establish the Knowledge and Skills Exchange IPE Society and led the Health Care Team Challenge (West Midlands) 2015, the first such to be held in England. In 2012, Sharon established the College of Medical and Dental Sciences IPE steering group, which works to embed IPE into health professions programme curricula. Since 2005, Sharon has led four major regional IPE projects, focussing particularly on the development of authentic IP simulations for pre-registration students. 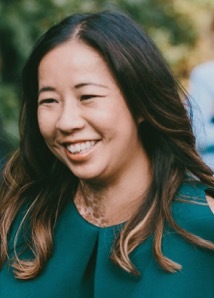 Sharon is a member of the Best Evidence Medical Education (BEME) collaboration editorial committee and has published aspects of her work including a BEME review of the integration of tools for structured team communication into health professions curricula. She is principal investigator for a national evaluation of the National School of Healthcare Science Scientist Training Programme, focussing on issues of professional identity, career progression and integration into the healthcare workforce; and is working with the Health Education England to establish evaluation of their Genomics Education Programme . The Higher Education Academy awarded Sharon a National Teaching Fellowship (2010). This year, the University of Birmingham has invited Sharon to become a Fellow of the University’s new Higher Education Futures institute, which works to develop innovative and effective university teaching and learning. Chris works developing, facilitating and supporting patient, service user and carer involvement for Comensus, within the Faculty of Health & Wellbeing at the University of Central Lancashire (UCLAn). Comensus is a partnership between the UCLan and volunteer members of the local community. Its primary aim is to ensure that a diverse range of individuals and community groups are able to share their personal experiences of receiving health and social care services, to support the education of current and future professionals. Chris is a member of the UCLan cross-faculty IPE working group and Comensus has a long tradition of placing patient, service user and carer perspectives at the heart of interprofessional education. 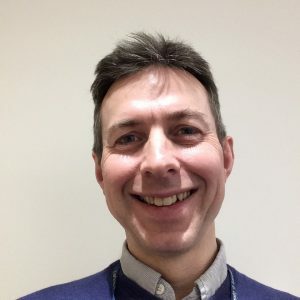 With a background in the voluntary sector and NHS involvement activity, Chris has previously worked developing involvement in professional education at the School of Healthcare, University of Leeds. While at Leeds he also gained experience of research, practice development and coproduction in the areas of health systems, housing, employment and welfare reform He is particularly interested in how personal narrative, emotional resonance, reflection and dialogue contributes to the development of professional practice. Registered Adult Nurse specialised in General Practice. Trainee Advance Nurse Practitioner. Currently a full time Masters in Clinical Research(MRes) student at the Florence Nightingale Faculty of Nursing, Midwifery & Palliative Care at King’s College London. Completing September 2018. CAIPE member since 2014; CAIPE Student Board member since 2016. 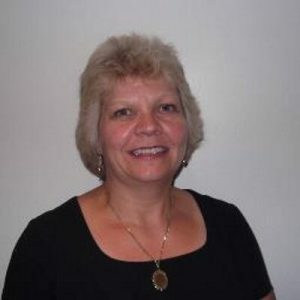 Linda has also worked with CAIPE as a keynote speaker, giving presentations and workshops and local and national Interprofessional conferences and events. A GP partner and educator at the University of Leicester medical school, I have in more recent years been involved in the Health Enhancement Programme (HEP) for medical students. Essentially a mindfulness based lifestyle programme, teaching this module has required me to understand the evidence and practice behind mindfulness as applied to medicine. I am also acutely aware on a day to day basis of the pressure of practicing medicine in the current climate in the UK, and the value of having strategies to use to mitigate this. I have a keen interest in Inter professional education (IPE), holistic healthcare and sustainable living. My most important job, however, is being a father to two children. I enjoy cycling and the occasional triathlon too. Dawne Gurbutt PFHEA PhD, MA, MA( Lit) , MA(Ed), BSc (hons), BA. Stephen is a Registered Dietitian specialising in Gastroenterology and patient centred holistic care. Stephen is currently a senior Lecturer and Course Director for the Dietetics and Human Nutrition Programme at Coventry University. Stephen is a Link tutor for a Coventry University accredited Dietetics (Applied) Undergraduate Course at Aegean Omiros College, Athens Greece. Stephen teaches on the Collaborative Curriculum at Coventry University where students are taught interprofessionally with other healthcare students within the School of Nursing Midwifery and Health. 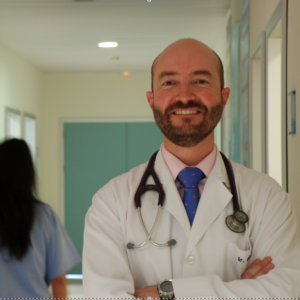 Stephen is passionate about providing students with the competence and confidence to put the skills learnt across the Collaborative Curriculum into practice on their clinical placements. Stephen is undertaking a PhD focusing on spirituality competencies in Dietetic Education within the Centre for Advances in Behavioural Science under the branch of Brain, Belief, and Behaviour at Coventry University. 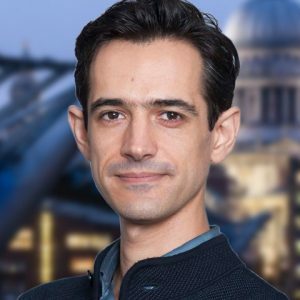 Stephen has been a CAIPE member since 2011; CAIPE Student Board member since 2016 and he became a member of the Board of Directors of CAIPE in 2018. As a Board Member Stephen is engaged with the Student Committee, Promotions, and Learning and Teaching Working Groups.